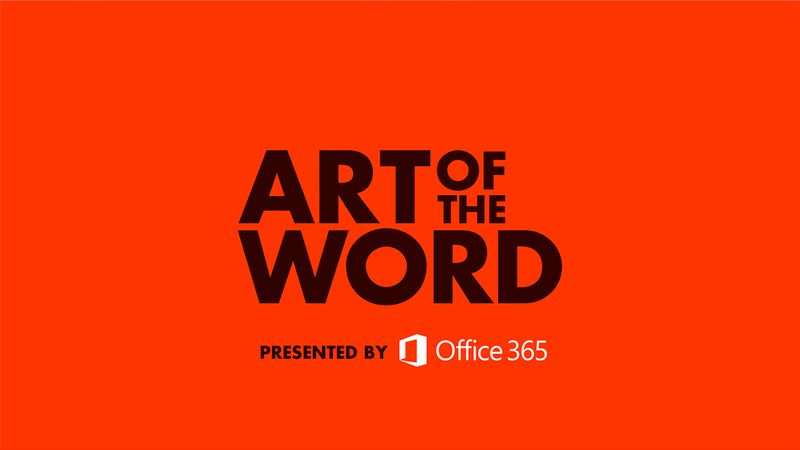 The Art of Words is an inspiring content video piece produced by POP for Microsoft Office 365 that examined and instructed viewers on powerful speech writing techniques employed by one of the most notable orators of the 20th century, John F. Kennedy. 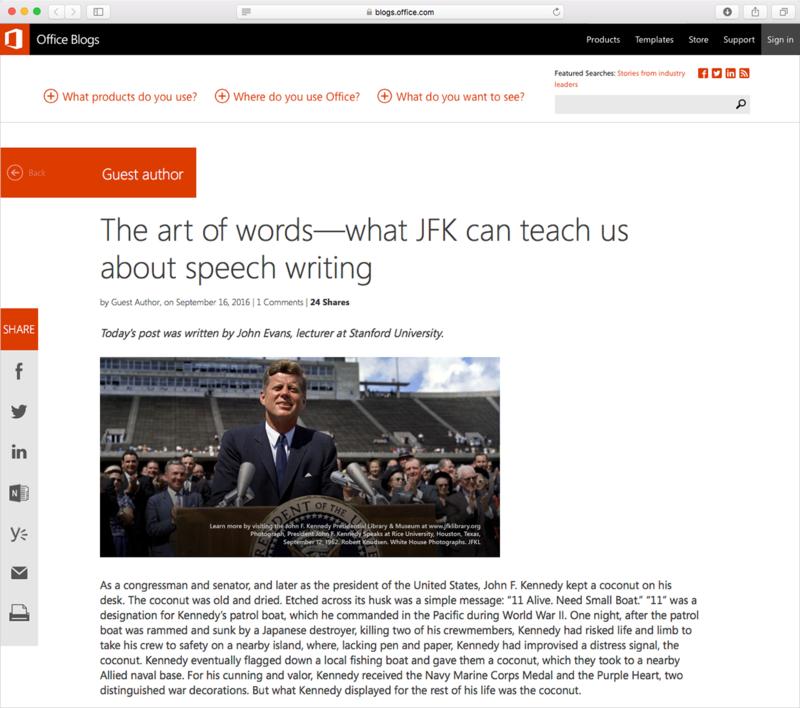 The Art of Words is an inspiring content video piece produced by POP for Microsoft Office 365 that examined and instructed viewers on powerful speech writing techniques employed by one of the most notable orators of the 20th century, John F. Kennedy. I served as art director on this project tasked with overall look and feel of the piece including, logo, motion, and set design as well as video production and editing. 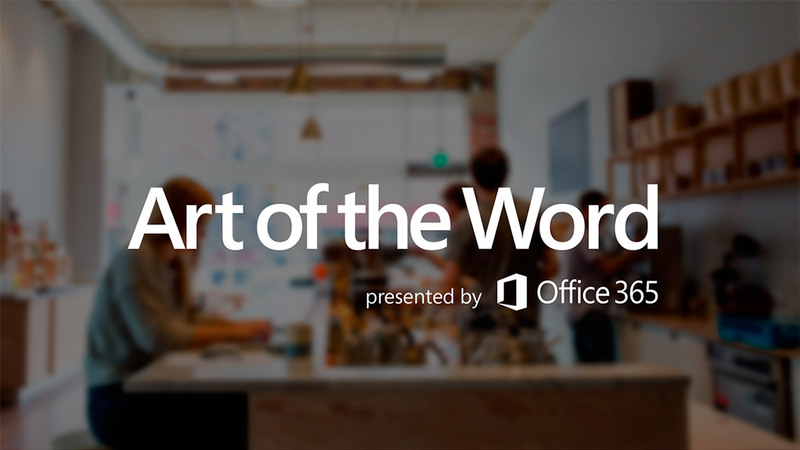 As a companion piece to the video, Evans also wrote an informative and inspiring guest post on the Microsoft Office 365 blog. Below are a few of my favorite early concepts for the "Art of Words" logo (the early working title of the project being "Art of the Word"). 1. The Evolution Concept - The concept pays tribute to the act of writing, rewriting, editing, and honing your words into their final form. This piece also pays tribute to the bad boys of design, Saul Bass and Tibor Kalman. 2. The History Concept - A brief journey through the history of act of writing. Starting with hand written words, moving onto the type writer, the early days of desktop publishing, bringing us into the modern age of simulataneous collaborative editing on Office 365. The animation ends on a clean, bold typographic lockup. 3. The Abstract Concept - In a nod to the works of Kandinsky and Duchamp, the title lockup is built nearly entirely out of forms that are part of the core shape set found in Powerpoint. The exception is the hand-sketched "O" that was doodled in OneNote using as Surface Book and stylus.